Wow, look at prayer, with Jesus as the vine, and we as the branches in John 15, chapters 14, 15, 16, and 17. In these four chapters, Jesus was trying to comfort His disciples and at the same time get them to just abide in Him. So right in the middle of that, in chapter 15, Jesus was talking about abiding. He was talking about how we need to be like branches on a vine. He was the true vine. Some people say this describes kind of an organic, living and real relationship between Jesus and us, or between us and the Father. 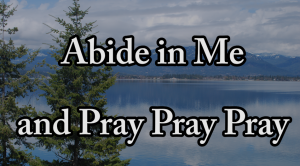 Without getting into the rest of the context, there, John 15:7 says, “If ye abide in me, and my words abide in you, ye shall ask what ye will, and it shall be done unto you.” That seems kind of like a blank check where you can expect God to do anything you ask of Him. Some people look at that verse and they wonder why God doesn’t answer when they pray for something. There is a condition in this verse, though. It says, “If you abide in Me and My words aide in you”. The “asking” is prayer. 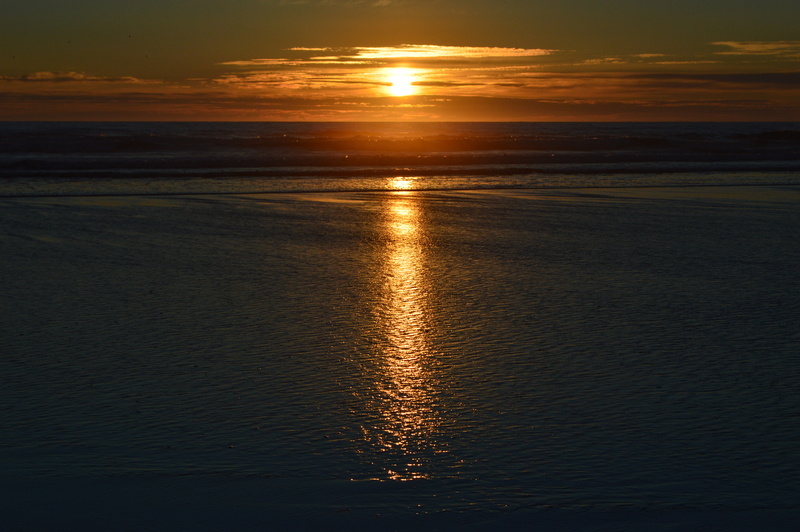 Well, the first condition, there, is, “If you abide in Me… “ Without getting into the context,there, one way to abide is to stay in the Lord, to rest in the Lord, or to remain in the Lord. So how does one abide in the Lord, it simply means to trust and rely on Him. I would even say it means to do the things God wants you to do, to obey the Lord. 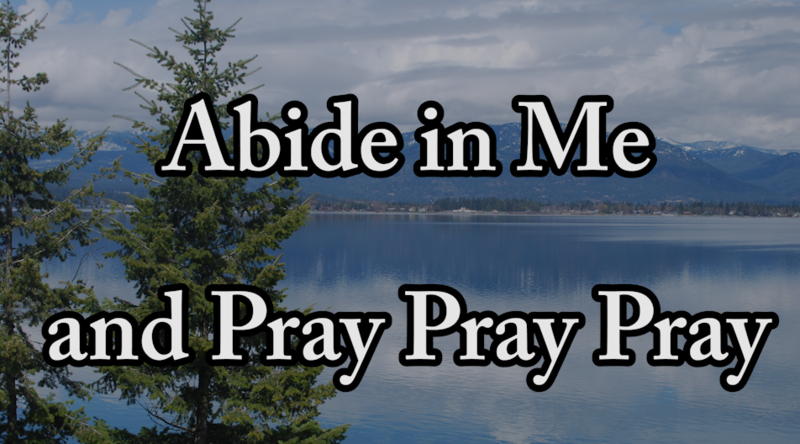 He says, “If you abide in Me”. Then He says, “And if My words abide in you”. This passage in the book of John says, “If you abide in Me, and My words abide in you”, you can ask whatever you will and I will do it. What words is He talking about when Jesus says, “And My words abide in you”? I believe He is specifically talking about the word He is speaking. Oh, and by the way, what ever Jesus says is the Word of God. I believe it also has to include the words of the Bible from Genesis to Revelation. The video this text is taken from is on Drew’s YouTube channel. This portion is at YouTube. This entry was posted in Best of Drew, Bible Prayers, How to Pray and tagged Bible john 15, branches, prayer, vine on March 18, 2013 by Drew Haninger. God loves to hear prayer. He is a God who listens. Look at these verses on prayer in the Bible, God listens to every prayer. Have this confidence that in every pray, whether it be small or large, whether it be well phrased, or just a bunch of broken words, God listens. Sometimes what we think are the worst prayers, God just loves, since we are expressing our real feelings. Psalms 66:19 But certainly God has heard me; He has attended to the voice of my prayer. 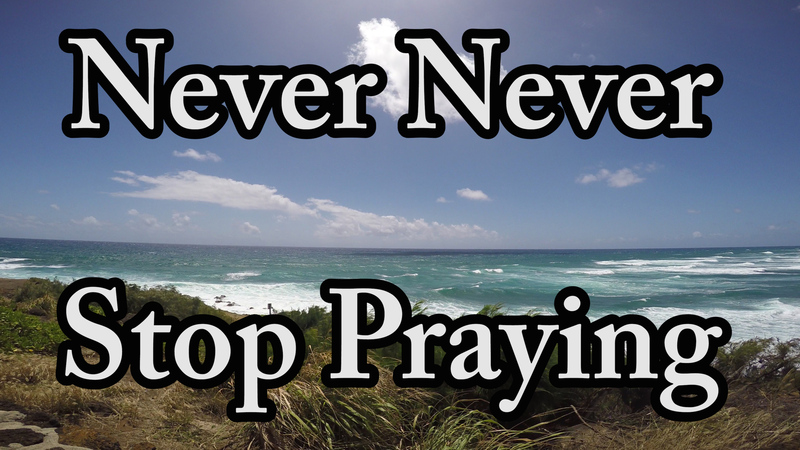 Psalms 66:20 Blessed be God, Who has not turned away my prayer, Nor His mercy from me! This last verse in James eventually refers to Elijah who in a very unique situation needed a prayer to bring God in to vindicate Himself. Elijah did pray and God did come in. So never feel that God does not hear, He does hear and answer. p.s. answers do not always come how and when we expect them. This entry was posted in Best of Drew, Bible Prayers, Elijah Prayed, Encouragement, Faith, How to Pray and tagged Elijah prayed, prayer on February 26, 2013 by Drew Haninger. Spurgeon loved Bible study, prayer and preaching. Here is a great quote on prayer from C.H. Spurgeon: Of course the preacher is above all others distinguished as a man of prayer. He prays as an ordinary Christian, else he were a hypocrite. He prays more than ordinary Christians, else he were disqualified for the office which he has undertaken. So prayer is an important aspect to preaching. This entry was posted in Charles Spurgeon, Inspirational Quotes, Prayer and tagged prayer, Spurgeon on January 31, 2013 by Drew Haninger. Prayer is not just talking to God or just communicating to God. Prayer is a definite message with words to God based on what the Spirit is praying. See Romans 8:26 where the “Spirit helps” us pray with words. Our talking may or may not be the Spirit’s words. Communication indicates a two way communication, but when God speaks to us the Bible does not call this prayer, the Bible calls this illumination or revelation. You may want to view a John Piper short video on this topic. So in prayer, try to listen to God’s speaking to know how to pray. And yes, this is hard to do. 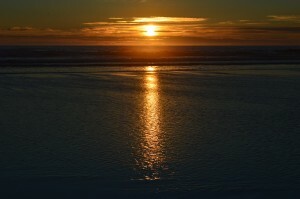 This entry was posted in How to Pray and tagged prayer on December 6, 2012 by Drew Haninger. Which is more important, your left foot or your right foot. There may be some debate on this, but I personally prefer BOTH. So with my time, is it prayer or Bible Study or teaching or preaching or writing or coordinating? And the winner is, we need all of them. Just like my body as Paul talked about in First Corithians, we need all the members and we need all the functions in the body of Christ. This entry was posted in Best of Drew, Bible Prayers, Bible Study, How to Pray, Prayer, The Bible and tagged Bible Study, prayer on December 1, 2012 by Drew Haninger.